Think of it as computers and software ... with multi-ton peripherals! Have a comment or question about my machine shop? Nikon measurescope with precision stage (63X-1000X magnification with transmitted or epi-illumination, 0.0001" x 1 inch in X and Y, 250mm Z travel, 30 angular seconds in theta). Bausch and Lomb Stereozoom microscope with 0.1 mm measuring reticle. American Optical number 426 filar micrometer eyepiece (10mm x 10 micron measuring reticle). Leitz Orthoplan microscope with both epi-illumination turret and transmitted light condenser, NPL Fluotar objectives from 2X to 50X. Sees magnificently and measures down to the submicron! Melles Griot Invaritar telecentric gauging lens (59 LGH 416). Edmund 43488 resolution test target, 5 lpmm to 200 lpmm (2.5 micron). Edmund 38257 resolution test target, USAF 1951, 0.25 to 228 lpmm (2.2 micron). Hahn and Kolb hole gage (10 micron resolution over 18mm to 34mm). Mitutoyo 0.001 inch by 12 inch height gage. Davidson Optronics D-657-500 autocollimator with D-416 power pack. Nulls angles to 1 second of arc, resolves 5 seconds of arc over 15 minutes of arc. Used with Melles Griot 02 MLE 015/011 mirror with 1/20 λ flatness. Kollmorgen K-122 micro-alignment telescope. Calibrates lines of sight to 3 seconds of arc (1/1000 degree) at any distance (0.001 inch at 67 inches). Keuffel & Esser 71-5100 (collet-type) and 71-5103 (setscrew-type) spherical adapters (for fixturing of optical alignment instruments). Starrett master precision level (0.0005 inch x 18 inches). Resolves 5 seconds of arc. Hilger & Watts SL9060.1 autoset level. Calibrates and sweeps lines of sight to 0.75 seconds of arc from horizontal. 1.4 deg FOV, 40mm dia objective, 25X telescopic, focuses 5 ft to infinity. Rank Taylor Hobson optical square 112/498-355, with 112/580 plain bore spherical adapter. 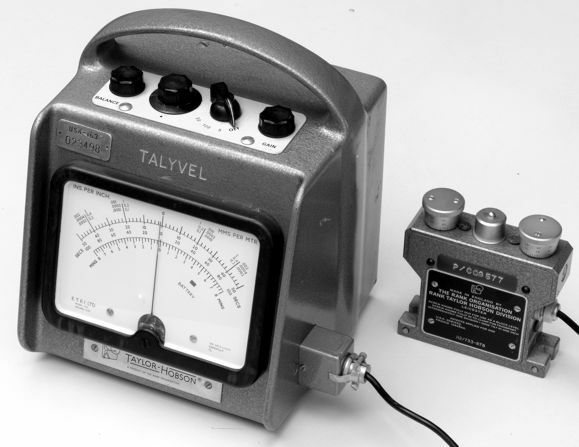 Taylor-Hobson Talyvel inclinometer, (1 second of arc x 8 minutes of arc). Spherometer, 0.05mm x 15mm to 50mm. Optical prototyping rail (see below). This provides analysis and testing of optical components. Optical prototyping plate/rail system. This attaches to existing instrument to analyze and test custom attachments. Bausch and Lomb lensometer, 0.25D x -16D to 16D. 24 x 18 inch granite surface plates. Gage blocks: 1-2-3, 0.050 to 4 inch 81-piece rectangular gage blocks, 0.001 inch by 1 inch space blocks, 0.062 inch to 0.250 inch pin gages, vee blocks. Precision 3-wire thread pitch gages. Angle gages: 1/4-1/2-1-2-3-4-5, 1-2-3-4-5-10-15-20-25-30, 30-60-90. 0 to 6 inch micrometers, 6 and 12 inch calipers, dial and digital. Pelican case identification plate insert for engraving [PDF file, 1 page]. Vixen dovetail dimensions, mechanical drawing for fabrication [PDF file, 1 page]. Moving and Hoisting a 2400-Pound Bridgeport Milling Machine. Solo Moving and Hoisting an 800-Pound Mill-Drill. Moving and Hoisting an 1000-Pound Clausing 8540 Horizontal Milling Machine. A Mattock Tool for Moving Heavy Machinery by Hand. Building a DC Drive for the Bridgeport Spindle. Converting a Bridgeport to CNC. Making Digital Camera Microscope Adapters. Making Digital Camera Telescope Adapters. Making a Movie Film Transport Mechanism. 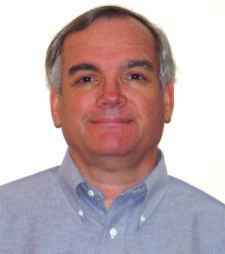 Evaluating True Horsepower and CFM Ratings of Air Compressors. Converting an Ordinary DC Motor to a Servomotor. CNC Servomotor Drives for the Mill-Drill X-axis and Y-Axis. Buying Button Cells for Digital Calipers. Repairing a Whirlpool Ice Machine. An Improvised Bulkhead Fitting for Liquid Storage Tanks. Design and Tooling for Spin-Stabilized Pyrotechnic Rockets. Machine for Weaving Visco-Type Fuse. 12x36 Lathe T-slot Base for Harbor Freight 33274 or 65044 Lathe. Jeep Wrangler TJ hitch bracket for rear bumper. Drawbar speed handle for Bridgeport milling machine. References and Textbooks for Metalworking. Boat bench recreating an item on my 1986 Four Winns Liberator 211 powerboat. Low-pressure scuba hose adapter (SAE J1926 female fitting). Scuba BC quick-connect to J1926 adapter (SAE J1926 male fitting). CAD drawings for the Pinewood Derby (Awana Grand Prix) wood blank (PDF file) and pencil design idea (PDF file, 3 pages). An optical prototyping system based on standard structural aluminum. My novel spherometer designs: a 3-leg spherometer and a conical spherometer. Making a Boring Bar for the Lathe. Making a Comet Pressing Tool and the Metal Casting Foundry. Making a Die for an Air Cylinder. Making a Hardened Keyway Cutter and Keyed Bushing. Metric threading on the 12 x 36 lathe (Harbor Freight 33274 or 65044, Enco 110-2075) is approximated by selecting change-gears and gear-lever settings to come close to metric thread pitches with the 8 threads/inch leadscrew. Exact metric threading with an inch-pitch leadscrew requires a 127-tooth gear somewhere in the gear train. Why 127? Because 127 is the smallest prime integer multiple of millimeters which equals an integer multiple of inches. That is, 5 inches exactly equals 127 millimeters. But a 127-tooth gear does not fit in this lathe's change-gear mechanism, so we must resort to using the best appromixations resulting from the 480 possible combinations of change-gear and gear-lever choices available. The settings approximating metric thread pitches given in the manufacturer's machine manual are incomplete and do not always give the most precise possible approximation, so I calculated exhaustive tables of what pitches result from all possible combinations of change-gears and gear-lever settings, so you can look up the optimal choice. See these tables (about 12 pages each): sorted by pitch and sorted by change-gear selection. For example, for a 0.75mm thread pitch, the manual specifies the 43-60-C-6 setting which results in a 1.1 percent error, while using the "secret" 26-40-C-5 setting (not given in the manual) yields a much more precise 0.06 percent error. You can also analyze these tables to find the best compromise change-gear choice that let you switch between a set of specific metric and inch pitches using only the gear-levers. For example, the unlisted 47-40 change-gear combination lets me switch between 0.75mm (47-40-D-4) and 32 tpi (47-40-D-3) with only the quick-change levers, for short threading lengths. The Grizzly G4003 version of this same 12 x 36 lathe provides a different set of change gears, and provides an 86/91 tooth step gear for the idler, so here are the tables for the Grizzly gear set sorted by pitch and sorted by change-gear selection. Retrofit couplings to convert Minolta MD mount 35mm camera lenses to Canon EF mount for EOS digital SLR cameras: for the Tokina AT-X 352 35-200mm f3.5-4.5 lens, for the Tokina RMC 500mm mirror lens. Bridgeport milling machine factory manual [8 MB PDF file, 123 pages]. Covers installation, operation, lubrication, maintenance (both J head and 2J head versions), specifications, extra equipment, spare parts drawings and parts lists, electrical schematic diagram (wiring diagrams). Polyspede PWE-10K VFD (Variable Frequency Drive) Inverter Instruction Manual [884 KB PDF file]. HP (Agilent) HEDS Quadrature Optical Rotary Encoders [266 KB PDF file] (part numbers HEDM-550X/560X HEDS-550X/554X HEDS-560X/564X). Psychrometric chart for moderate temperatures. 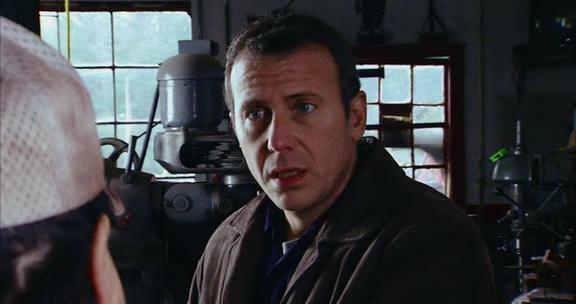 A Bridgeport milling machine appears prominently in a scene of the 2005 film, The Thing About My Folks (see IMDB information) with Paul Reiser and Peter Falk, depicting the auto repair shop of an eccentric but very competent mechanic. See my frame capture 1 and frame capture 2 stills from the movie (JPEG files) at about 31 minutes. You can see a Kurt-type vise and rotary chuck on the table in the first frame. This appears to be an old round-ram M-head type machine, which dates it back to the pre-WWII era. This would be an excellent tool for a repair shop, and I would tend to trust a mechanic who owned such a rare item. 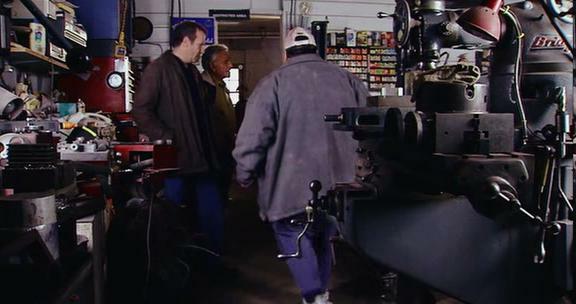 I believe this scenery is an authentic but uncredited repair shop somewhere in Hudson County, New York State, where the movie was filmed. MCG PD34002 90 VDC Permanent Magnet DC Motors.